Picture Book Party: Great or Terrible? It's Monday, Picture Books Past. 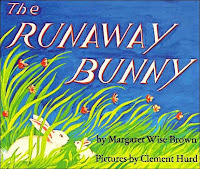 When children's books come up in the media, what aspects get talked about? Maybe sales figures of mega-hits, maybe reading and school success/failure, maybe bookstore/online/ebook futures. Here's something a bit different. It's a good old-fashioned discussion of the question: are these classic books great or terrible? It's entertaining to listen to the back and forth. Also, it's a reminder that the message in a book matters. Check it out here on the Los Angeles Times website.